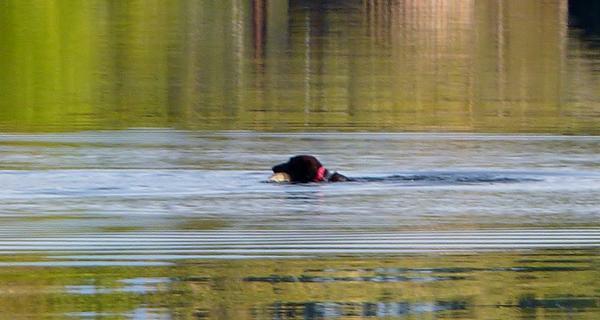 There are no comments for Retrieving My Toy. Click here to post the first comment. 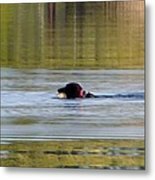 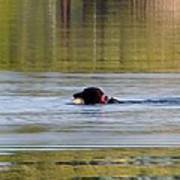 Color photo of Chocolate Brown Retriever returning after capturing his floating toy with reflections of fall colors in the water.